Homemade Buttermilk Bread – The crisp crust makes it so good. This Homemade Buttermilk Bread is baked in a loaf pan. Inside light, the crust is crisp, and it almost tastes like a sourdough bread. 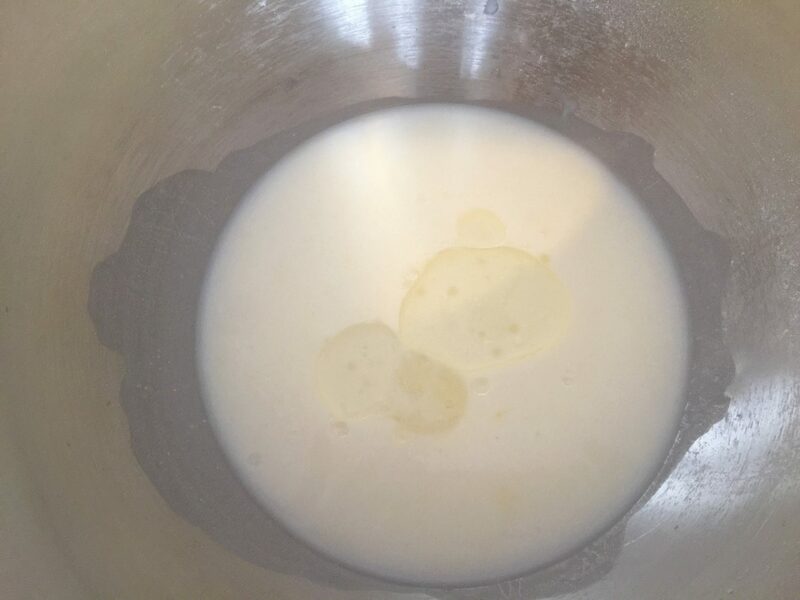 Mix water with buttermilk, warm it up in the microwave for about 35-40 seconds and pour into the mixing bowl. Add the oil to it. 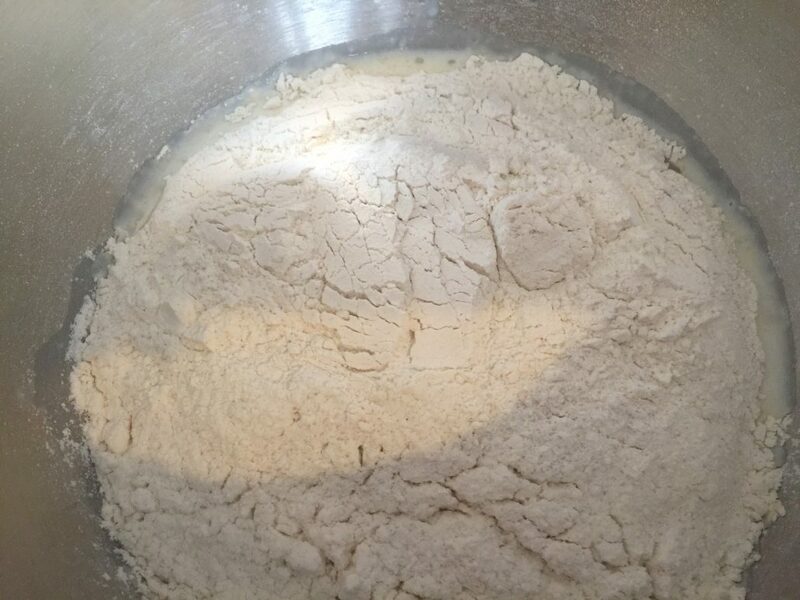 In a separate bowl mix the flour, sugar, yeast, and salt and stir the ingredients with a spoon. Add to the mixing bowl. Knead the ingredients with the kneading hooks of a handheld electric mixer or a stand mixer. Start on low speed and turn it up only to 4 or 5. Knead for about 10 minutes. 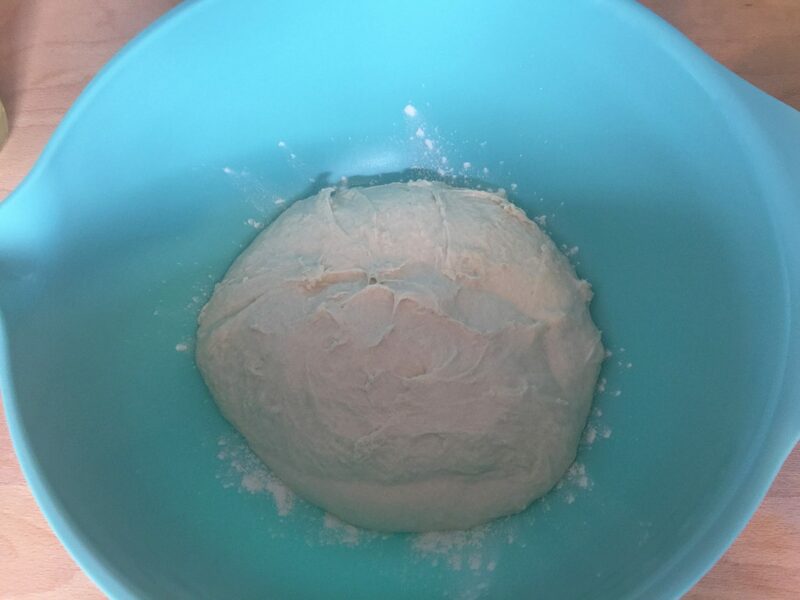 The dough is ready, when it is smooth and feels like a chewing gum. 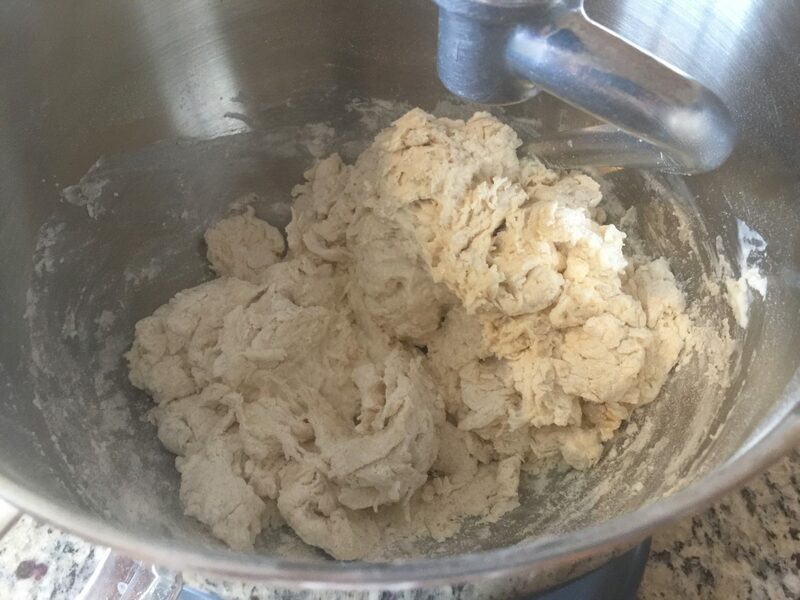 Place the dough in a bowl covered on the bottom with some flour. 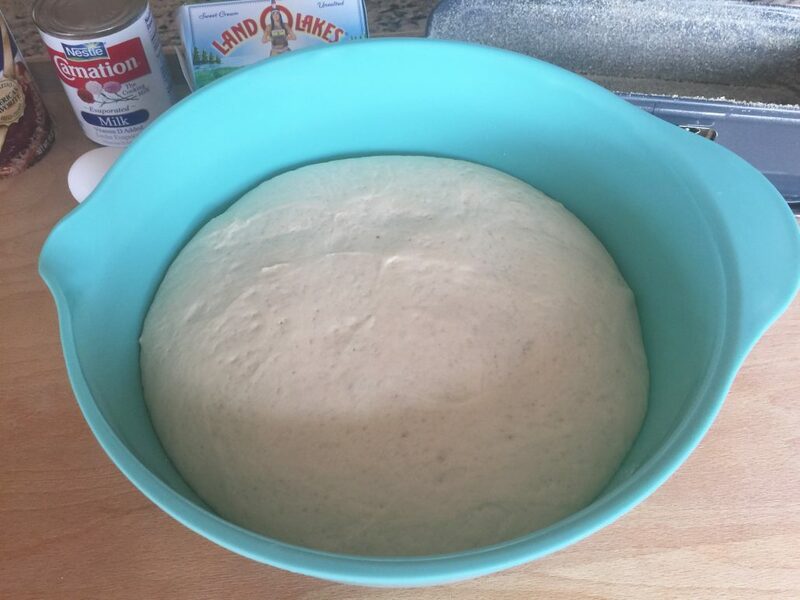 Cover the bowl and let the dough rise for about 1 ½ – 2 hours or until the dough has doubled. Knead the dough again using your hands. To prepare the bread for baking you need a loaf pan, butter, plain bread crumbs, one egg yolk, 2 tablespoons of evaporated milk, and a bowl or saucepan with water. Sprinkle plain bread crumbs into a buttered loaf pan. Make sure the sides and bottom of the pan is covered. Remove the loose crumbs. Fill the dough evenly in while pushing the dough with floured fingertips. Cover the pan and let the dough rise for another 15-20 minutes. Make a cut in the center on top of the dough lengthwise. Beat the egg yolk and two tablespoons of evaporated milk with a fork. Brush the top of the bread with the mixture. Preheat the oven to 180°C-190°C (356°F-375°F). Have a bowl or saucepan with water on the bottom of your oven. Place the bread on the middle rack and bake for about 35-40 minutes. After 20 minutes and after 30 minutes, brush the bread again with the egg/milk mixture. When finished baking, let the bread cool down on a cooling rack. To try the Homemade Breakfast Roll click here, the Homemade Baguette click here, and the Homemade Cornbread click here. https://www.theomaway.com/wp-content/uploads/2017/01/IMG_1535.jpg 630 1500 Oma https://www.theomaway.com/wp-content/uploads/2017/02/Oma-Logo-Authentic-German-Recipes.png Oma2017-01-26 16:07:062018-10-07 07:58:32Homemade Buttermilk Bread - The crisp crust makes it so good.